Dub or subtitle a Bollywood film! Use this great website to add your own subtitles and dubbed dialogue to Bollywood films, great for practicing direct speech. This is a lesson plan for higher levels (B2+) to teach verb patterns with reporting verbs using video and scripted roleplays. It will be especially useful for CAE students as these structures tend to come up in key word transformations quite often. Credit to http://www.eltbase.com/notes.php?id=59 for their great explanation. 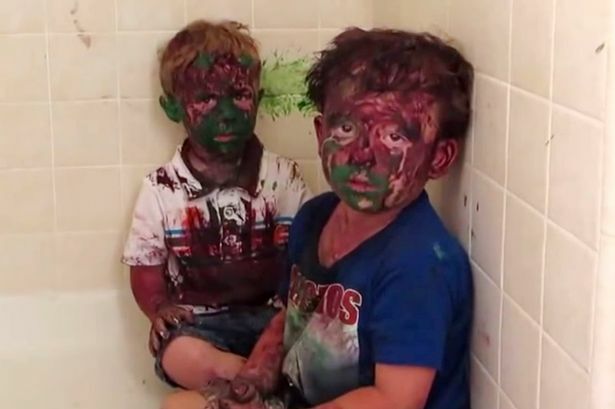 The Dad asked the boys who had got the paint out. The older brother accused the younger brother of gettting/having got the paint out. The younger brother denied getting/having got the paint out. The older brother accused the younger brother of building stairs out of blocks. Ask students if they have ever been in a similar situation with a sibling or friend. Have you ever been wrongfully accused of doing something? For this part you can either give out the handout on the 4 groups of reporting verb patterns. Or model the sentences on the board and have students dedicate a page in their vocab books for each group of verbs. You’re going to need a lot of space on the board for this part. Divide the board into 4 quarters. He said that he would come to the party. He told me that he would come to the party. He promised to help with the cleaning. Tell students that these are the 4 groups of reporting verbs. Subject + reporting verb + direct object + (that) + clause. Group 3: Reporting actions: Promises requests etc. He encouraged me to take maths instead of history. Group 4: Reporting verbs with gerund. Have students complete the 10 sentences on the back of the handout. He demanded to see the manager. He demanded that he saw the manager. She warned us not to leave the path. She warned (us) that there were dangerous snakes. She promised to help clean up after the party. She promised (me) that she would help clean up. He reminded me to feed the fish. She insisted on paying for dinner. She insisted that she paid for dinner. He announced that he was moving to New York the following week. She forbid me to chew gum in class. He threatened to punch me in the face if I called him that again. She apologised for breaking my favourite cup. He ordered me to stand up and put my hands on my head. Split the class into groups of 2-3 and give out the role-play scenarios, give them a couple of minutes to read and rehearse and then have students come to the front of the class and act out the scenarios. Then the other groups have to write sentences using as many reporting verb patterns as they can based on what happened in the scenarios. 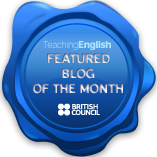 Guide students and model sentences, encourage them to place them in the correct group. A: Hi son, How’s it going? B: Hi Dad. I’m going out. A: Wait a minute, wait a minute. Have you done your homework? B: Ahhh come on Dad, it’s Friday night. A: I don’t care, have you done it or not? B: No. But I promise I’ll do it tomorrow. A: Ok, but if you don’t you’ll be grounded for a week. B: Ok it’s a deal. Sarah: Hi Fiona, how’s it going? Are you coming to the party tonight? Fiona: No I don’t think so; I’m not in the mood and I have to work tomorrow. Sarah: No you don’t! Tomorrow is a holiday, the shop is closed. Fiona: Oh yeah! I’d completely forgotten. I’m still not sure. Sarah: Oh come on, you’ve got to come! Tommy’s going to be there. Fiona: Really? Hhhhmmmm well, ok go on then, I’ll come. Teacher: (to John) You stole €5 from the charity collection box! John: Me??? It wasn’t me! How dare you accuse me! It was Sandra who stole the money. I saw her do it! Sarah: Me? No way! He’s lying! Teacher: I want to see what’s in your pockets right now! They turn out their pockets. John’s pockets are full of money. Teacher: Aha! What’s all this? John: Ok, it was me. I admit it. Sarah: I think it’s unfair that I was accused of this crime. I’m going to tell my parents. Teacher: I’m terribly sorry Sarah, it was a misunderstanding. Anna and Natalie are having a party. The music is very loud. There is a knock at the door. Anna: (opening the door) Yes? Who is it? What do you want? Little old lady: It’s 3am, I can’t sleep please turn the music down. Natalie: Turn it down? No way! We just graduated! Little old lady: Oh please please please turn it down, I’m so tired. Anna: Nope sorry, we’re not going to turn it down. Little old lady: (angry) Well, if you don’t turn it down I’m going to call the police. Natalie: Go ahead! You can come in and use my phone if you want. Little old lady: oooo the cheek of it! That’s it! I’m going to call the police! The Dad asked the son if he had done his homework. The son admitted that he hadn’t done his homework. The son admitted to not doing/having done his homework. The son promised to do his homework the day after. The Dad warned the son that if he didn’t do his homework he would be grounded for a week. Sarah asked Fiona if she was going to the party tonight. Fiona replied that she didn’t think so. She said that she wasn’t in the mood and that she had to work the day after. Sarah reminded Fiona that the day after was a holiday. Sarah persuaded/convinced Fiona to come to the party by telling her Tommy would be there. The teacher accused John of stealing/having stolen the money. John denied stealing the money and accused Sarah of stealing the money. The teacher ordered them to turn out their pockets/demanded that they turned out their pockets. John admitted to/confessed to stealing the money. Sarah objected to being accused of stealing the money. The teacher apologised for accusing Sarah of stealing the money. Anna asked who it was and what they wanted. The old lady asked/urged them to turn the music down. Natalie refused to turn the music down. The old lady begged them to turn the music down. Anna refused to turn the music down. The little old lady threatened to call the police if they didn’t turn the music down. Anna invited the old lady to use her phone. The old lady announced that she was going to call the police. Stage 4: Follow up activity, students write their own scripts. Students come up with their own scenarios trying to use as many of the different verb patterns as possible. Other groups have to correctly guess the verb they were trying to express.